It’s always a pleasure when I can bring back my friend Mary Morgan for another First Kiss Friday! Today Mary will be giving you a sneak peak of her soon to be released novella, A Highland Moon Enchantment. Happy reading and enjoy! “Done.” When her fingers slipped into his, Desmond fought the urge to crush her to his chest. Placing her soft hand in the crook of his arm, he led her quickly out of the hall and up the stairs. Bending to the left, he took her along a corridor and up a narrow circular pathway. The torches flickered as he approached the door leading to the north wall. A cold draft blew by them, and she shivered. Instantly, regret filled him realizing he had not considered to bring a cloak for her. Shaking his head, he pushed open the massive oak door. Brittle air slapped at his face while they made their way up along the wall. “We shall not tarry long,” he assured her and placed a warm hand over hers. Desmond’s focus was not on the moon, but the beauty standing beside him. To take what he dared not possess. He marveled at her delight of the striking scene. Her nearness was overpowering, seducing him in a way he had never known. Desmond cupped her chin. Her eyes widened, and her lips parted in invitation. Moonlight and lust danced within her eyes. No longer did he battle with his mind and body, and he slowly lowered his head. could taste her sweetness mixed with the wine, and desire shot through his veins. His hands shook as he placed them securely on her waist. As he deepened the kiss, she placed her hands around his neck. Desmond groaned, crushing her body against him. Irish warrior, Desmond O’Quinlan has never surrendered his heart to any woman. He has no wish to have his soul tortured by love. Yet, the moment he locks gazes with Ailsa, his fate is destined for an adventure he never fathomed. He may have battled alongside a Dragon Knight, but his greatest challenge will come from within his own heart. Ailsa MacDuff, a warrior among her clan, has no desire to have a man chain her to a life of obedience. However, that is before she meets Desmond. The temptation to allow this warrior inside her heart is a risk she dares to take, but one that could lead to a future of emptiness and sorrow. When betrayal looms from within, the battleground of love is no match for these two warriors. 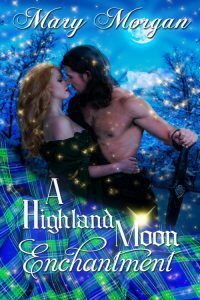 Can the power of a Highland full moon be strong enough to unite or destroy them? Dare to journey with the Dragon Knights of Scotland! They were an ancient order descended from the great Tuatha De Danann, a tribe from the Goddess Danu. Half human and half fae, each blessed with mystical powers. They were also given holy relics and guardianship over the dragons. With the dawn of Christianity, the dragons were systematically hunted down and slain leaving only one. The Dragon Knights took her from Ireland to a land across the sea, settling in the Great Glen near Urquhart. The clan was known as the MacKay clan, descendants from the MacAoidh. Yet, there were those who deemed the Order had too much power, and they tried to possess it for themselves. They were evil and twisted, and their plan succeeded one fateful night. A battle was fought and their sister was killed. The Clan Mackay is no longer. The Dragon Knights scattered across the land. Yet out of the darkness, they will each fight for redemption. 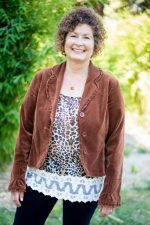 Award-winning Scottish paranormal romance author, Mary Morgan, resides in Northern California, with her own knight in shining armor. However, during her travels to Scotland, England, and Ireland, she left a part of her soul in one of these countries and vows to return. Mary’s passion for books started at an early age along with an overactive imagination. She spent far too much time daydreaming and was told quite often to remove her head from the clouds. It wasn’t until the closure of Borders Books where Mary worked that she found her true calling–writing romance. Now, the worlds she created in her mind are coming to life within her stories. I love your name, “rosethistle!” I hope you get a chance to read Desmond and Ailsa’s story. It was a labor of love. Thanks, Judith! I truly enjoyed writing Desmond and Ailsa’s story.